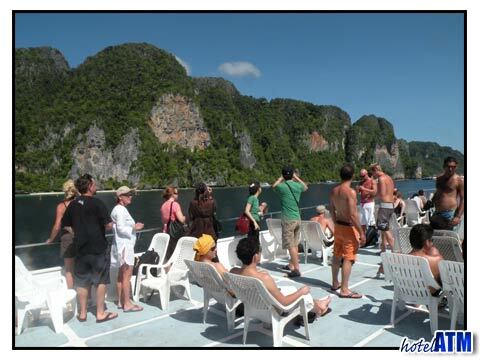 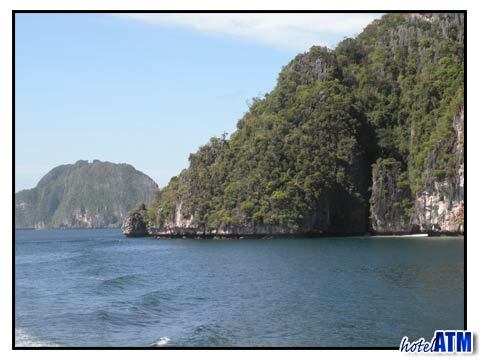 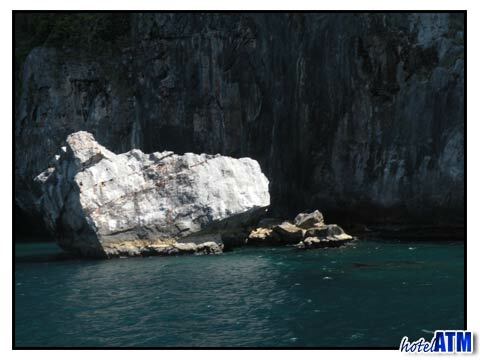 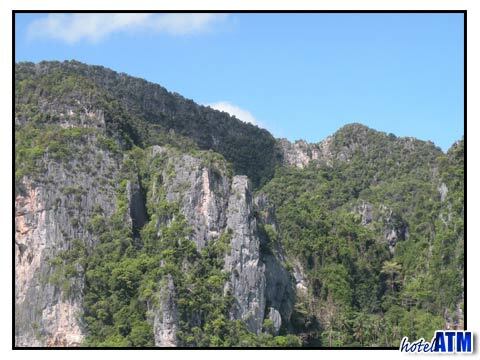 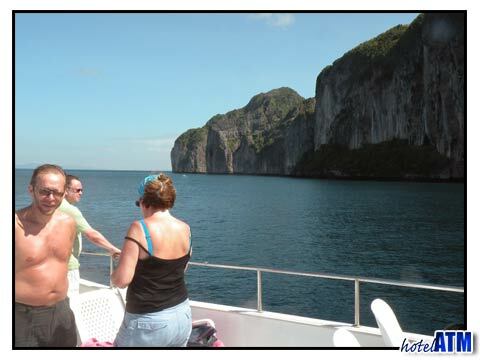 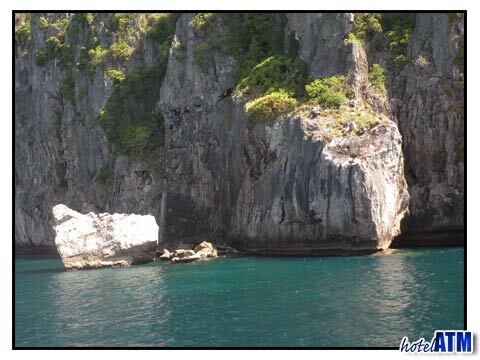 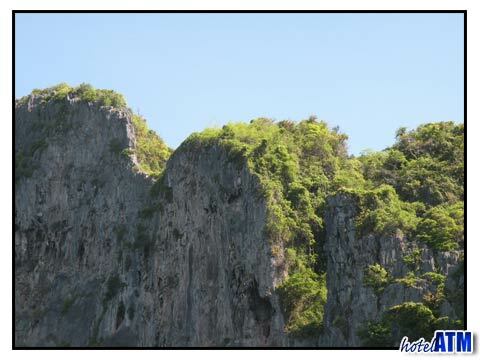 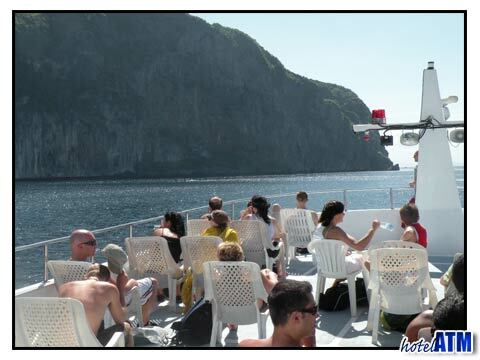 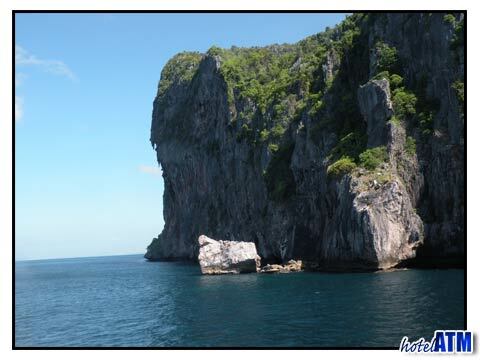 The unparalleled beauty of the Phi Phi Don Cliffs impresses everybody who comes to Phi Phi Island. 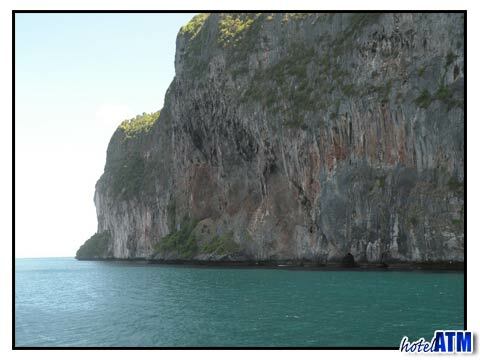 If you arrive from Phuket Island you see the vast walls poking up a out of the sea some 48 kilometers away and as you get closer these walls rise out of the deep blue like some fictitious island in the a child's novel. 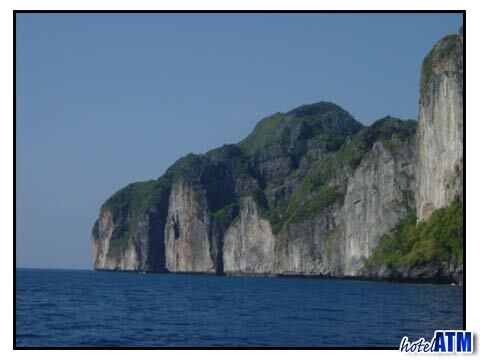 Incredible, beautiful and real. 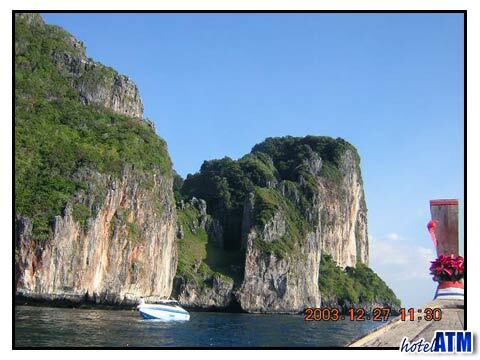 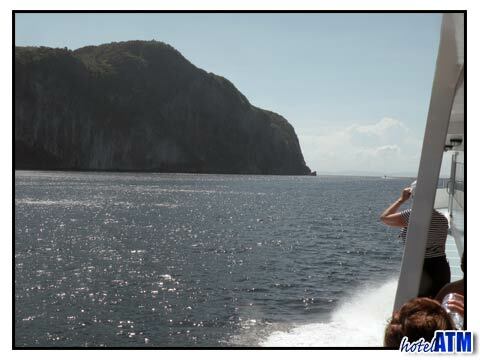 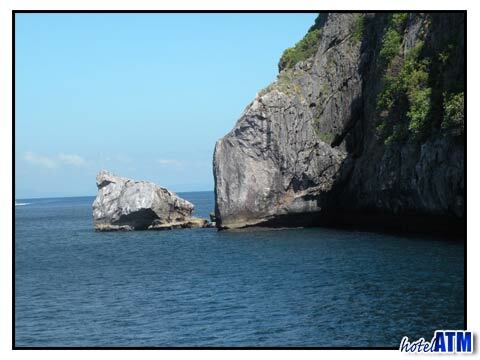 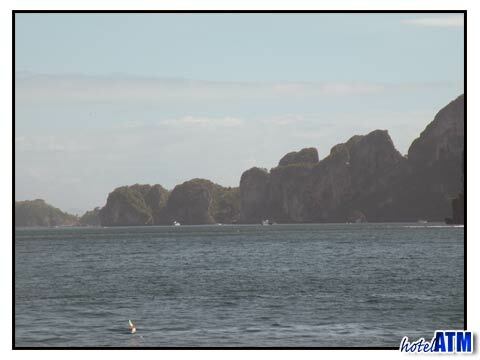 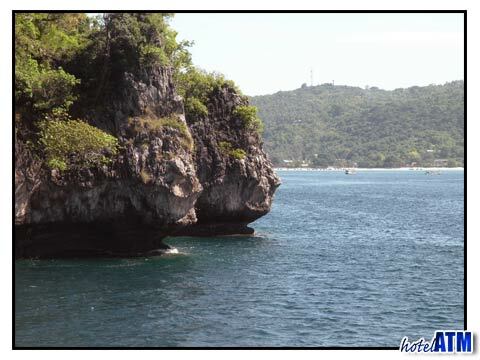 The Phi Phi Don Cliffs start in the north at Nui Bay and camel rock. 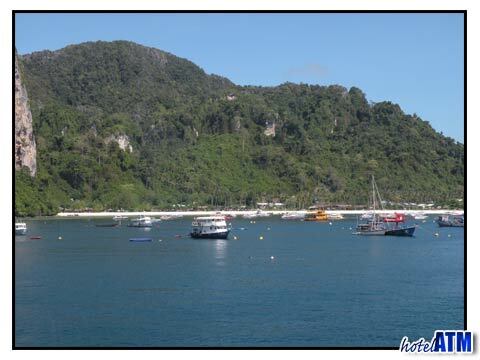 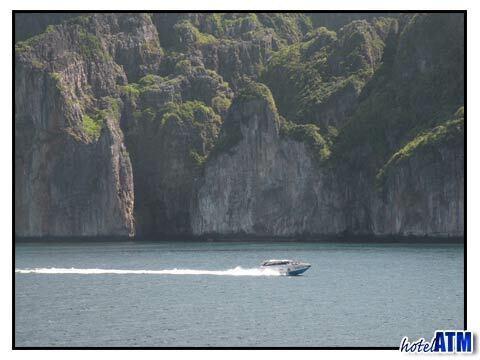 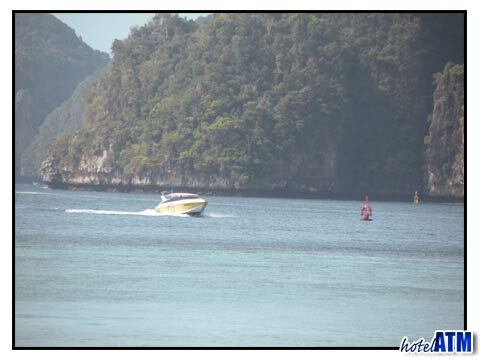 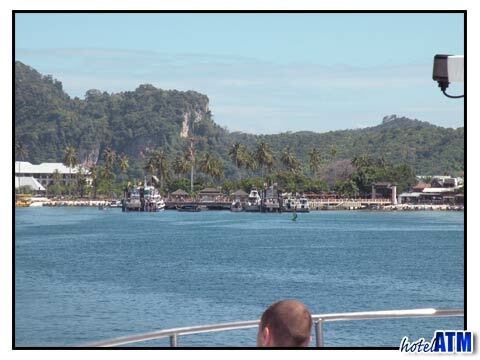 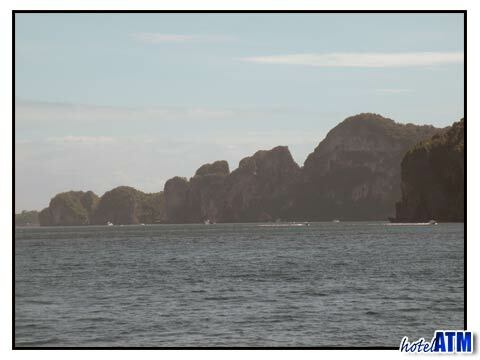 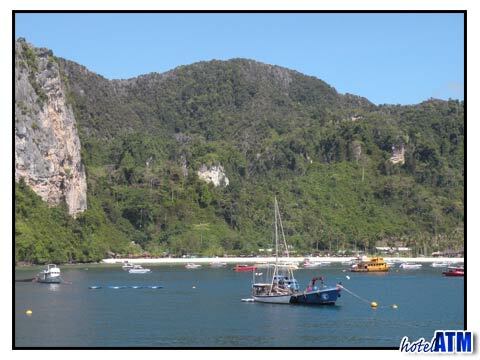 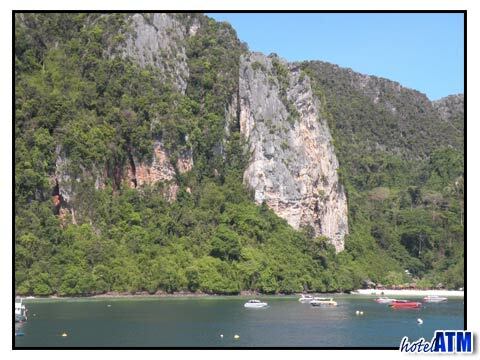 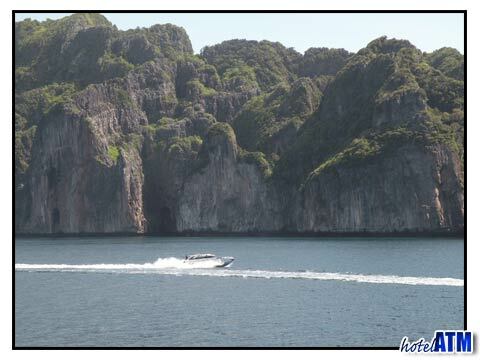 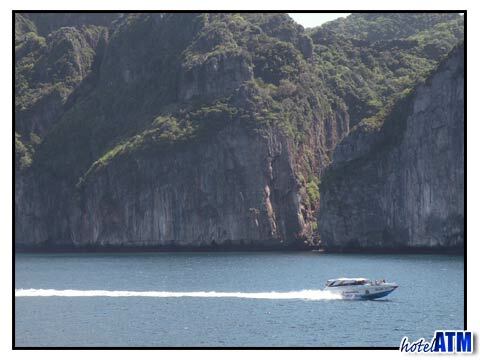 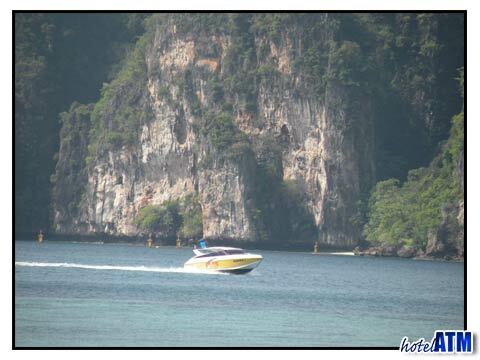 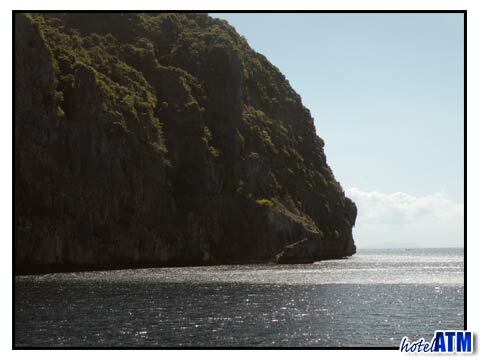 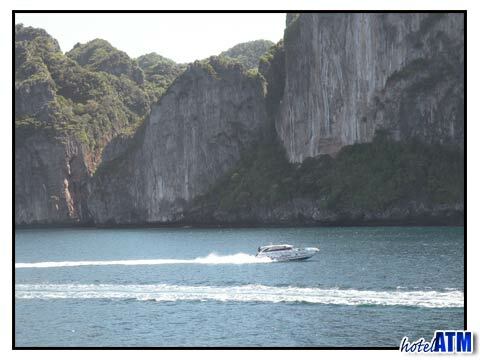 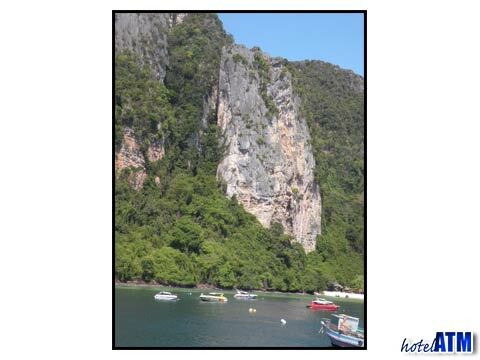 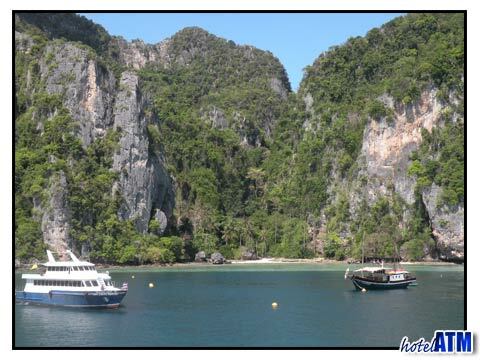 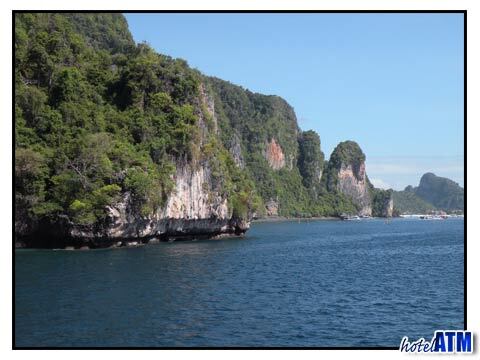 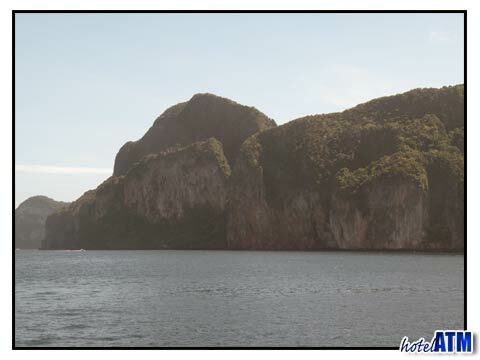 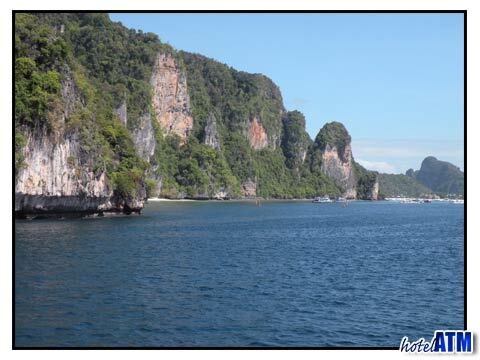 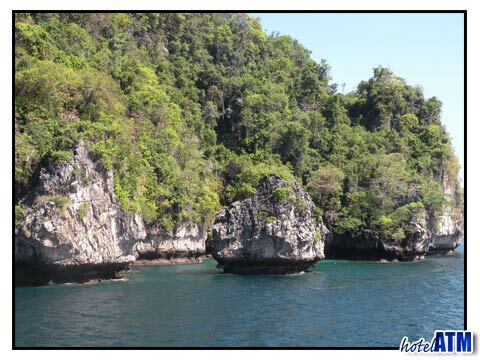 As you arrive from Phuket you cannot see the large Lodalum Bay as it is tucked around the back of the main cliffs. 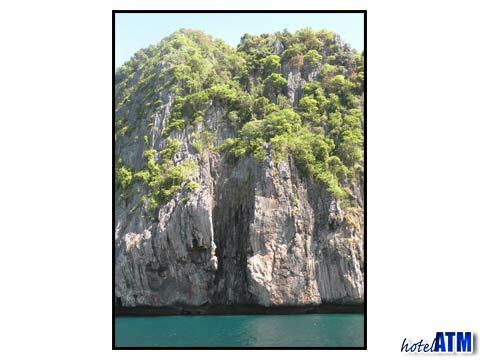 The tallest mountains are on Phi Phi Don and this is the main wall on the island. 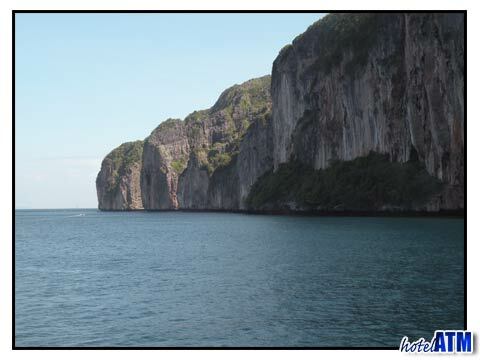 But one of my favorite pastimes is to speed along the foot of these giant walls on a perfect sea, feeling the wind and taking in the magnificence of the scenery.